You will find on the website all the information concerning this weapon in 6 mm, like his “older sister” in 9mm. Spangled ELG in a crowned oval: acceptance post 1893. Double B reversed and spangled: countermark of the controller post 1877. FABRIQUE-NATIONALE - HERSTAL - LIEGE - BELGIUM which is the mark of the FN founded in 1888. 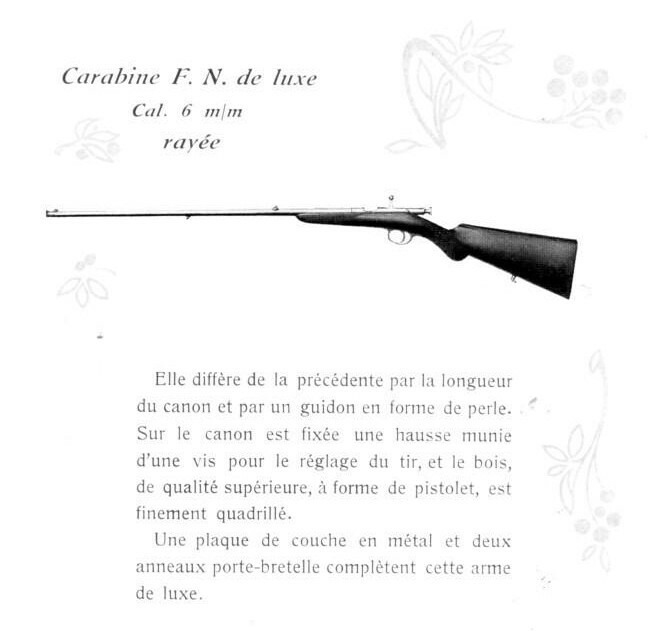 It is an ordinary rifle FN, model 1912 caliber 9mm of it comprising a special extractor placed on the right of the barrel (see illustration). Double P reversed and spangled: countermark of the controller post 1877. Manufacture national of weapons of war - HERSTAL - BELGIUM which is the mark of the FN founded in 1888. 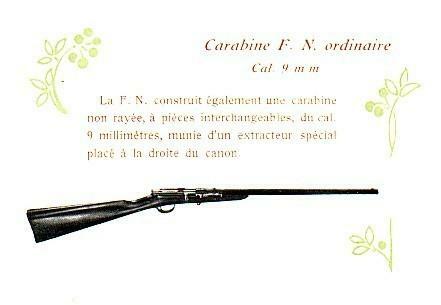 Model 1912 SGDG: number of the model and "Sans Garantie Du Gouvernement" (Without Guarantee of the Government). Back to "FABRIQUE NATIONALE D'ARMES DE GUERRE"